More than half of the 250 class scores over 30 points – ARay and AJ each sink 20% of 450 owners. Going into Indianapolis I was not stoked. A cursory glance at the track map showed a boring perimeter track with lots of 90 degree turns, a few 180’s and not much going on in terms of jumps. They did have some big, old school whoops though, and they really separated the field. Interestingly enough, this separation didn’t do much to deter fantasy points scoring. More than half of the 250 gate scored over 30 points. Somehow this didn’t translate into any new overall scoring records. The trend over the last month has been one of high pick trend riders failing to deliver, and that definitely continued. This enabled our overall winner to take down the top prize without having to select an optimal team. This week sgd218 took top honors with a tremendous score of 287 points, just edging out “dirtknobbies” by 4 points. Let’s take a look at how he got there. Sgd218’s 250 team consisted of riders who all had a pick trend of greater than 20%, so he didn’t do anything crazy here. Josh Osby (3) – 27%, Cade Autenrieth (12) – 42%, Hunter Sayles (16) – 28%, and Austin Forkner (0AS) – 26%. His 450 team is where he was able to separate from the field. Joey Savatgy (-1) – 22%, Cole Seeley (2) – 34%, Marvin Musquin (2AS) – 17%, and Justin Barcia (0) – 12%. Two of his picks here were critical to his success. First Justin Barcia outscored everyone in the 450 class, having him at 12% ownership was huge. His second great decision was selecting Marv for his all-star. He delivered a perfect 26 points at only 17% ownership and was one of only two all-star riders to have a perfect score. When you pick low owned – high scoring riders and get them at a low pick trend, you’re usually in for a good night. This is exactly what sgd218 did and he took down the field, great job by him! Now, let’s take a look at this week’s results. Cade Autenrieth (12) had by far the highest pick trend of the week at 42%. He qualified 9th, then finished 16th in the main for a nice 38 point score. Hunter Sayles (16) – 28%, Josh Osby (3) – 27%, and Austin Forkner (0AS) 26% were also high pick trends in the class, which saw only Autenrieth with a super high trend. Ownership was not highly focused this week in the class. 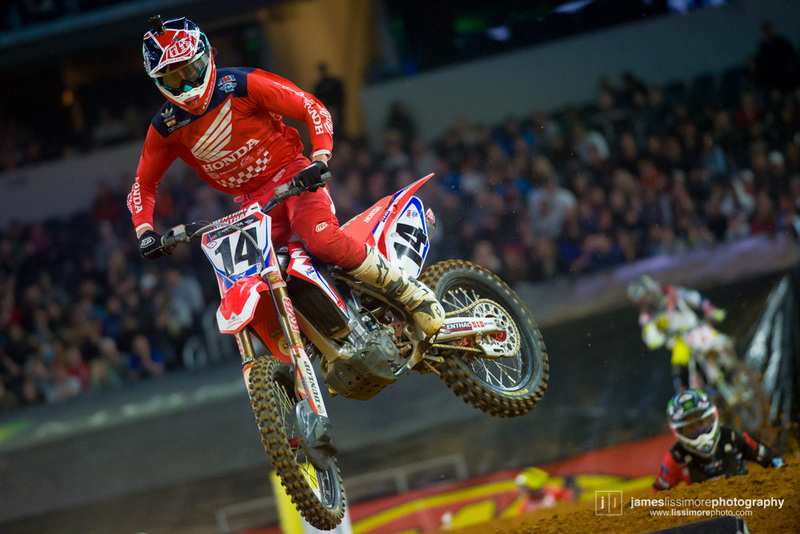 Cole Seely (2) – 34% was the highest pick trend rider in the 450 class and delivered another lackluster performance. The affable Southern Californian has been an enigma lately. Oft discussed over the last few weeks in this column as he has been performing below his ability, and below his handicap. Regardless, keep an eye on Cole, as his handicap increases, so do his chances of delivering a big night. Tyler Bowers (4) – 26%, Ken Roczen (5AS) – 24%, Justin Hill (1) – 23%, and Joey Savatgy (-1) – 22% rounded out the top pick trend riders. The 450 class also had ownership that was very evenly distributed. Under the radar 250 scores continue to soar with this east coast field. Remember this when they return, there has been a slew of low owned riders who qualify in the mid – high twenties, scoring some serious points in the night show. Barring some major adjustments to the handicaps, I don’t see this trend ending for the rest of the season during normal east coast rounds. This section normally has one or two riders per class who exceed expectation and put up a big score, the parameters to be featured typically being >30 points scored and single digit pick trend. Six riders hit this standard at Indy. Fast Freddy Noren (16) – 2% pick trend, topped them all with a tremendous 13P finish for 52 points. Lane Shaw (16) followed, scoring 42 points with a 19P finish for 0% of owners. Justin Thompson (15) also put up a Jackie Robinson for 0% of owners with his 18P finish. Chase Marquier (10) – 8% and Kevin Moranz (16) – 0% were next on the high point low owned crowd each scoring 38, and rounding out the pack, we had Isaac Teasdale (15) score 34 points via a 21P finish for 0% of owners. Crazy stuff! Seven DEUCE DEUCE! It was great to see Adam finally land on the right side of variance and put his HEP Suzuki in the main. The 722 entered the night as a 16 handicap, qualified 24th, and finished 20P for the nights top score in class, 38 points. He was selected by only 3% of team owners. Mike Alessi (9) – 6% and Ryan Breece (14) – 1% were the only other low owned riders in class. They each scored 30 points. Should I stop writing about Cole Seely being way overdue for some positive regression? Once again, he just didn’t get quite get there for his team owners. Cole was the highest picked rider of the week in the 450 class at 34% ownership and put up 26 points on his factory Honda via an 12P finish. While this surely didn’t kill his owners, (he was on the overall winning team) it surely didn’t meet expectations. We also had Alex Ray (11) – 21% and AJ Catanzaro (14) – 18% land squarely in the below expectations column. They both failed to qualify for the night show, scoring zero points for team owners. The big scores returned to the small bores this week! Hunter Sayles lead them all and scored a perfect 52, for 28% of owners, making him this week’s top fantasy stud. Cade Autenrieth (12) followed, scoring 38 points for 42% of ownership and finally Josh Osby (3) put up 36 points for 27% of owners. Things were much tighter in the 450 class. Joey Savatgy (-1) makes yet another appearance in this section via a 6P main event finish scoring 32 points for 22% of team owners. Unfortunately for us fantasy geeks, Joey has landed himself in the top 8 for real world season points and will be an all-star going forward. JT Peters Seely, Steve Jace Owen & Soubs, Dan Falk, Paul Falk & Soubs, Marx Owen & Zacho. 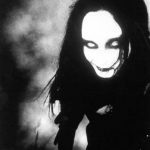 We had a guest expert on the podcast this week and the one and only Travis Marx joined in. Travis chose Jace Owen and Zach Osborne for 32 points, JT chose Kyle Peters and Cole Seely for 60 points, Steve chose Jace Owens and Cedric Soubeyras for 28 points, Dan chose Mitchell Falk for 28 points, and Paul Chose Falk and Soubeyras for 56 points. JT finally broke Paul’s vice like grip on the 100% Lead Pipe Lock championship belt by knocking everyone off with his 60 point score, great job JT! Austin Forkner did it again. 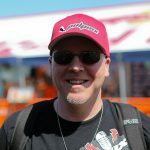 This week 96.6% of the 45.5% of team owners who picked a first lap leader went with Austin and they were correct! This comes as no surprise as he has nailed the holeshot in all but one east coast main event this season. In the 450 class KTM’s have accounted for a majority of holeshots this season. It looks like a majority of the 22.6% of team owners who did pick a lap leader chose the wrong one this week. Only 4.9% correctly chose Marvin over his teammate Cooper Webb, who I’m guessing had a good chunk of ownership, along with the 800 and KROC. The series returns to the PNW this week as they visit the beautiful city of Seattle. Keep an eye on the weather as we could see a wet track depending on when the forecast rain lets up. We will have some interesting decisions to make in the 450 class, the 33, Josh Grant will make a return to racing as a fill in for factory Yamaha. Josh will be a 6 handicap. Justin Barcia in the mud at a -2 also looks like a very strong pick. 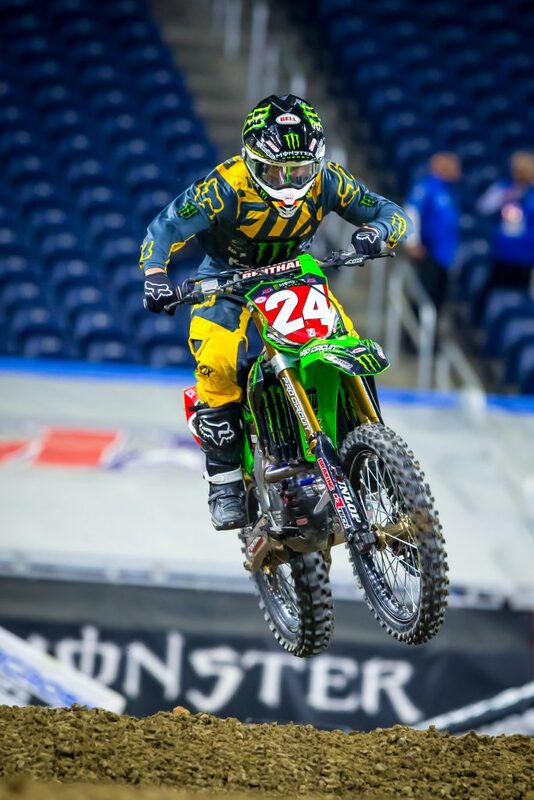 In the 250 class, I am looking for Jimmy Decotis to bounce back from an underwhelming showdown race in Atlanta. He will be entering Seattle at a -2 non – all star. Killian Auberson (15) also looks like a rider to keep an eye on. The Swede will be comfortable should the track be muddy and he will enter the night at a 15 handicap. 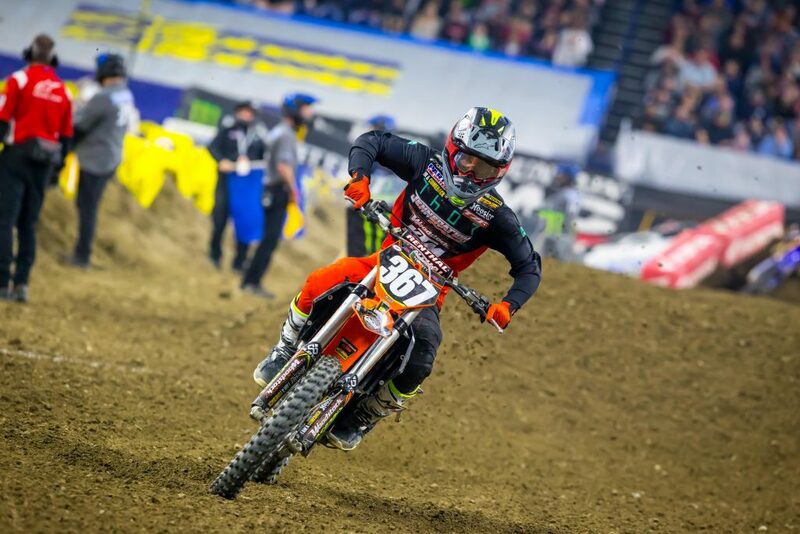 His last five Supercross finishes last year were 16, 21, 16, 18, 18. Should he finish in this range again he will deliver a great score. Well that’s it for this week. Thanks everyone for reading and playing. 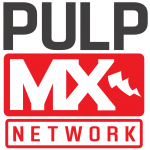 Please remember to support the PulpMX Fantasy sponsors when you shop for all of your off road, motorcycle and MTB needs. Hope I see you on the leaderboard!